Head and shoulders portrait of Harold Ward Dudley inclined to the left and looking back to viewer. He wears suit with shirt and bowtie. 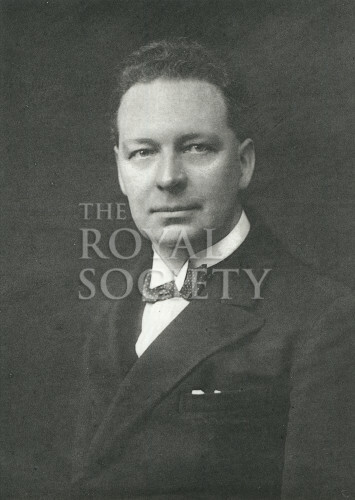 Harold Ward Dudley (1887-1935) was a British chemist, he was elected a Fellow of the Royal Society in 1930.